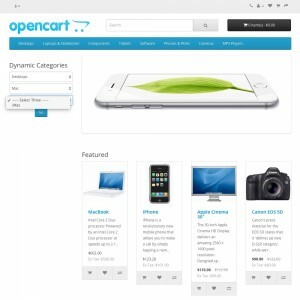 This module displays your store's categories as dropdown menus. 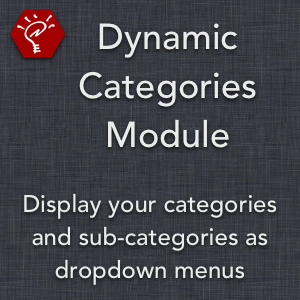 When a category is chosen, its sub-categories are dynamically loaded in the next dropdown. This process repeats until you reach the bottom sub-category or, if you choose, that category's products. 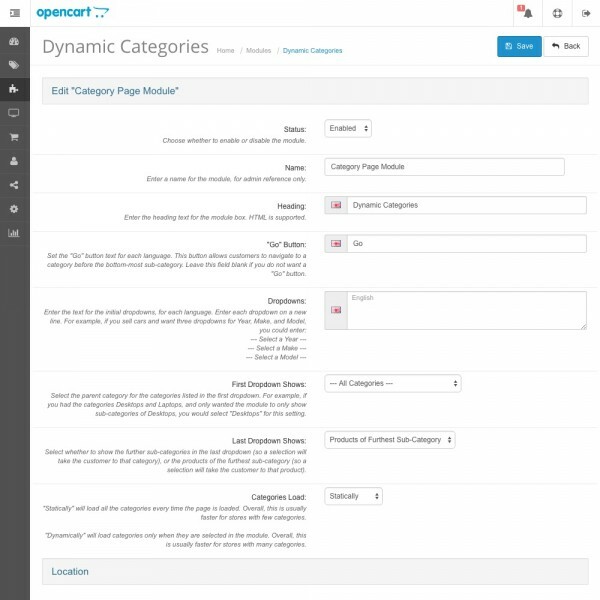 Selecting the furthest sub-category or product will take the customer to that page. Upload and go — modifies no core files. 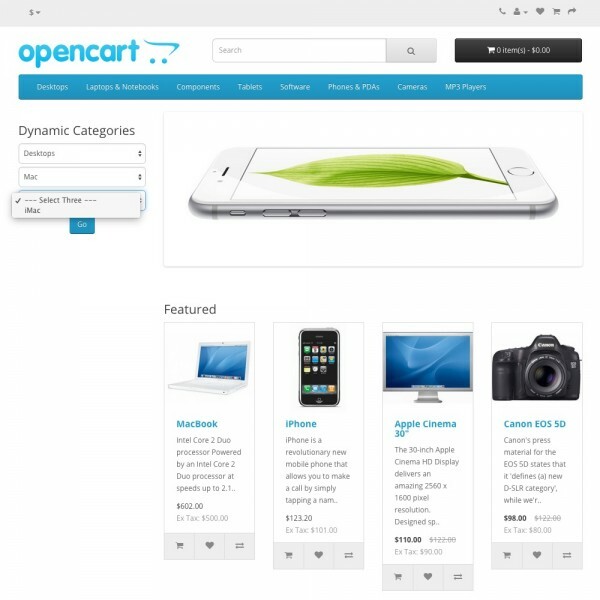 Compatible with the OpenCart 2.0 Extension Installer. Set the first dropdown to show all top-level categories, or to start with a specific category. 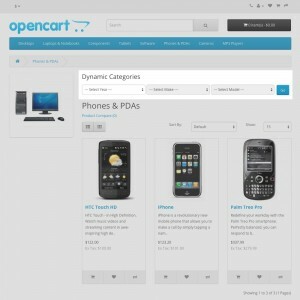 Set the last dropdown to show the further sub-categories, or products of the further sub-category. 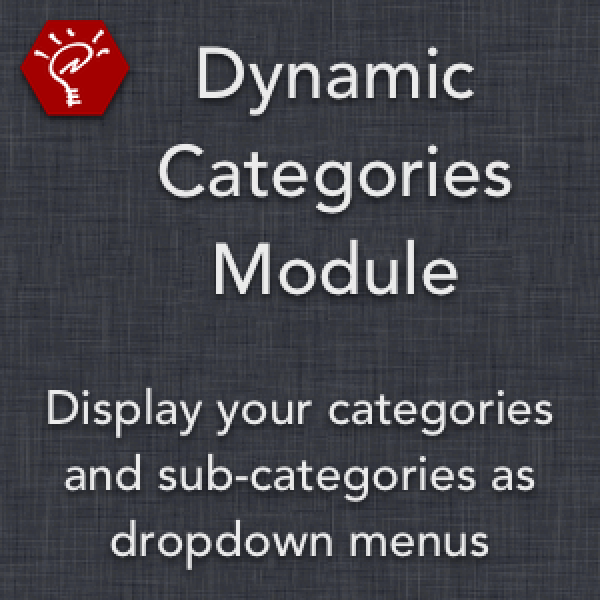 Choose whether to load categories statically (faster for few categories), or dynamically (faster for many categories). Optionally display a "Go" button that allows the customer to go to a category without choosing one of its sub-categories. Edit the module heading, "Go" button text, and initial dropdowns text directly through the admin panel. 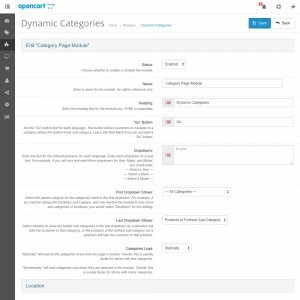 All dropdowns accurately reflect the current category, sub-category, or product location, and work properly with SEO URLs. 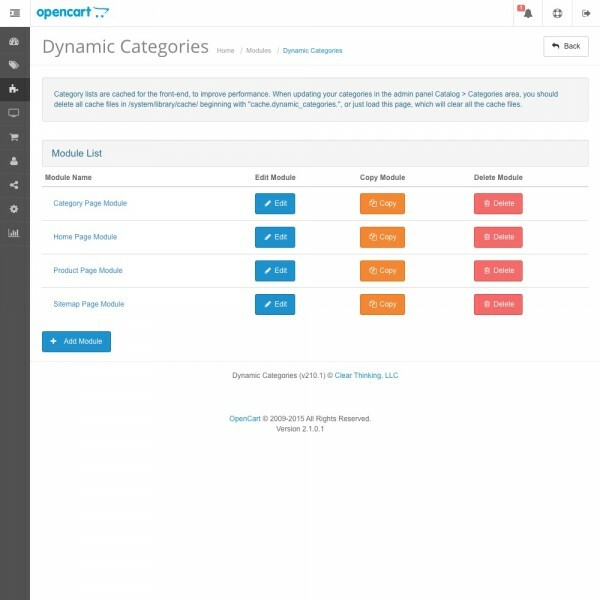 Category lists are automatically cached to improve performance.